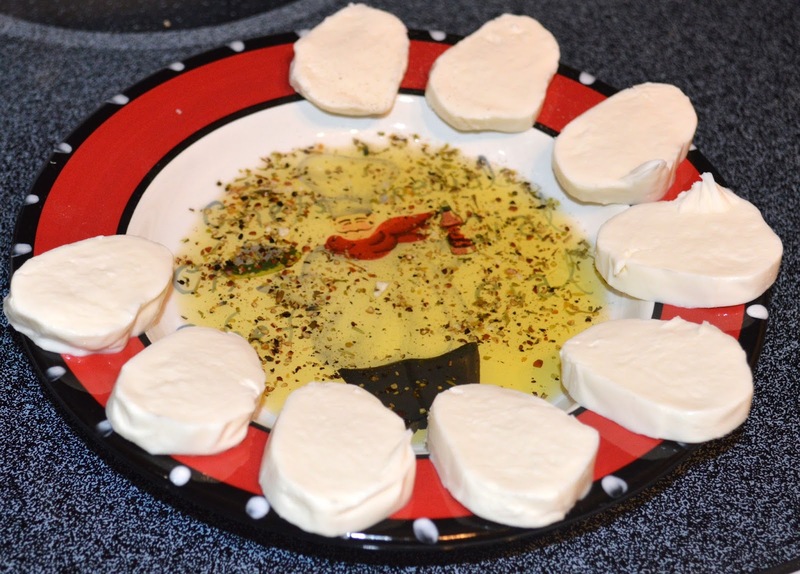 I call this our Go To Mozzarella Appetizer/Snack because it is unbelievably easy to put together. Using ingredients you have on hand to create yourself an quick and easy snack while dinner is baking or if friends come over unexpectedly. There is something really great about this appetizer because you eat it with your hands. It adds a fun connection with your food and brings a simpleness to your cooking experience. Plus fresh mozzarella is one of those tastes I will never get sick of no matter how many times I have it. You can mix this up a bit by adding different herb combos; such as basil, oregano and Parmesan cheese, or adding a rich balsamic vinegar to the plate. Play around with it and have some fun. Pour olive oil in the base of a small plate. Add pepper, salt and herbs together. Decorate the ridge of the plate with sliced fresh mozzarella. To eat, dip the mozzarella in the oil mixture and enjoy!